Lindsay is dedicated to improving the environmental performance of buildings in our communities through her work as a sustainability and energy consultant. As a mechanical engineer, she draws on over ten years of design practice with experience dating back to some of the first LEED projects in Alberta. 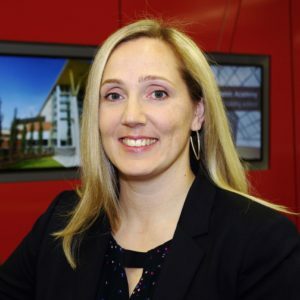 She is a member of the Canada Green Building Council’s Energy & Engineering Technical Advisory Group and a past president of the ASHRAE Northern Alberta Chapter. Outside of the office, Lindsay enjoys playing and coaching soccer. Every summer she can be found camping near lakes and mountains throughout western Canada.